VPS Hosting vs Cloud Hosting - What to Choose? 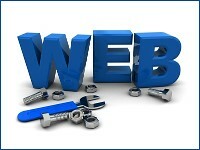 If you are planning to start a new web project, thinking about web hosting is inevitable. Web hosting is a package of services that allows you to allocate a web page on the web. For this you get a certain amount of disk space on a remote server, bandwidth that lets your clients navigate on the site fast, and many other important services that make your project run easier. Different web host companies offer you several popular types of web hosting packages, so we are going to give you some tips on how to choose a nice package for an average web project. The most common types of web hosting offers in the market today are Shared Hosting, VPS Hosting and Dedicated Hosting. Along with these options, many companies have recently introduced a fast-growing technology called Cloud VPS Hosting, which gains more popularity every day. However, the most common solution for average web projects is still a VPS Hosting package. It gives you a lot of disk space, nice bandwidth, qualitative server support and many tools to manage your part of server. 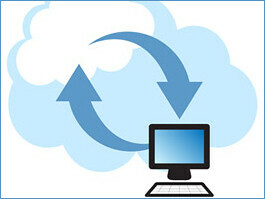 Cloud VPS Hosting is a new generation of hosting packages used with VPS packages. This option will make your data saver due to more reasonable resources use. This option is very important if you are planning to start with a small company, and grow to a bigger one. VPS hosting is a package that gives you a big part of server for a web project. Most online web companies provide VPS servers only to several companies, all located on one server. So the possibility of bad neighbourhood common for Shared Hosting is incredibly small in case of VPS. Along with server safety you get nice amount of disk space, serious bandwidth, control panel, and a lot more. A VPS server is a good choice if your project is already quite big and in the foreseeable future your site will have to host big amounts of media. For instance, your users will upload audios, videos, images or other documents that take much disk space. All these documents will stay on your server, so you’ll need more gigabytes for it. Also, VPS hosting can process more users coming to your web page. The prices for this hosting type are quite moderate, but we advise you to check the reliability of any company offering you cheap services. Low price can cover bad functioning, poor hosting features or unreliable customers support. Cloud hosting is a VPS package that uses “Cloud” technology and adds many important features to your server. Cloud hosting helps you keep your data saver, and save your money pretty well at once. The technology provides your project the amount of resources needed exactly for a certain point of time. As a result, you pay only for the resources that were used for server functioning. Apart from safe data and flexible prices, you will also get great scalability and numerous adjustable settings! Yes, indeed, Cloud VPS hosting is a new generation of web servers, so you always get more when you purchase these packages. Another important feature of Cloud Hosting is that it has special counters of processor usage. As a result, the more visitors your site has, the higher your price for using hosting will be. But note that along with that, the resources of the server are unlimited. If you’re only planing to start a new web project, you will also get many opportunities purchasing Cloud VPS Hosting. In the first period, when the number of visitors will be small, your server won’t use much processor resources. Later, when you grow to an average company, you won’t need to switch any server packages, like it always happens — your hosting will simply adjust to corresponding demands. VPS Hosting vs Cloud Hosting – How to Choose? If you have a new company, both options will be good, indeed. However, due to several modern technologies used in cloud hosting, it’s price is pretty high. Anyway, you can level the price difference in the first months of your project functioning – due to lower resources usage. Instead, you will get better services and more sophisticated adjustments. To sum it all up, VPS Hosting is better for projects that have already been running for quite a while, and now need more resources for enlargement. Cloud VPS Hosting, instead, will be a good choice for companies that only start their online business, and don’t want to have problems with shifting hosting package in future. The choice is yours — decide, which option is better for your project!